Yes, Illinois requires you to file all injury claims for uninsured motorist accidents within two years of the event. If you are going to sue an uninsured motorist for personal injuries, you have two years from the date of the accident to file suit. 735 ILCS 5/13-202. If you are going to sue for property damage, you have 5 years from the date of the accident. 735 ILCS 5/13-205. Finally, if you are going to sue for wrongful death, you have two years from the date of the accident. 740 ILCS 180/2. Many of these laws have complexities and exceptions that might apply to your incident; therefore, it is critical to speak with an experienced attorney to understand just how long Illinois gives you to bring a claim for injuries from an uninsured or underinsured motorist. If you are going to file a claim with your insurance carrier, you should check to see how long you have before they will not accept it. Normally, this is set out in your policy. The thing to be aware of is that typically these time periods are a lot shorter than those for lawsuits-some might even be as short as 30 days. So you need to act quickly if you have been injured in an accident involving an underinsured or uninsured motorist. Having a competent attorney at your side to get the process going quickly is vital and we can do that for you. After an automobile accident, no matter what amount of insurance the other driver had, and no matter what system you want to recover under, there are set list of things that you need to accomplish in order to recover. First, you should seek medical attention. This will make sure that your injuries don't get any worse and create a record so that you will have evidence to prosecute your claim. Then, you need to meet with an attorney to understand what your rights are and how you can protect them. After that meeting, you should reach out to your insurance company to see what your coverage options are and what you need to do to receive them. Finally, you should work with your attorneys to gather everything and put the pieces together for a successful claim or lawsuit. Call Us To Make Sure Your Case Gets Filed On Time! Rosenfeld Injury Lawyers LLC works tirelessly to file victims' complaints before it's too late. Then, we put all of our staff to work so that you don't lose one dollar of compensation that you deserve. 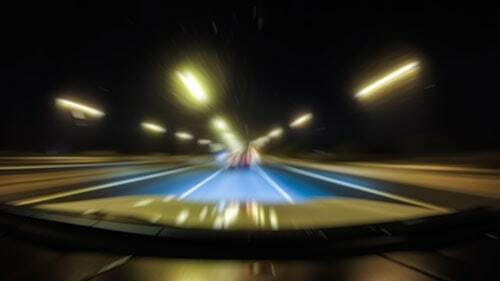 If you have been injured by an uninsured motorist, then don't delay. Call our offices so that we can start your case immediately.